As we made our way from Seminyak to Canggu, we were excited for a change of pace and vibes. 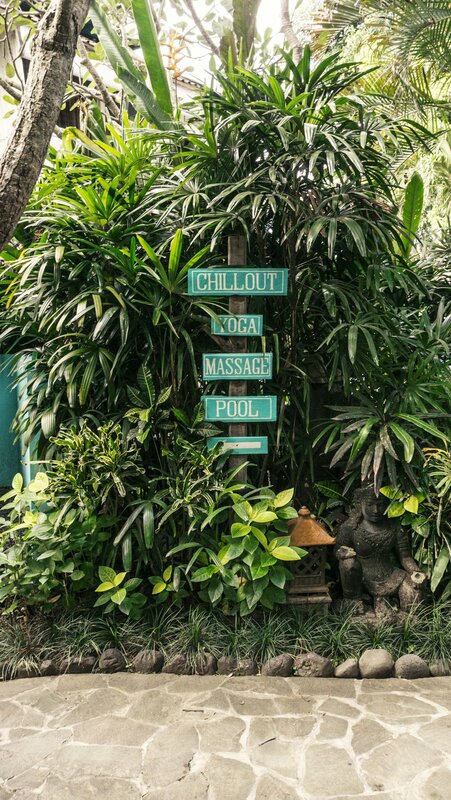 We reached out to The Chillhouse (@thechillhouse) for the yoga retreat experience, but left with so much more. Two days of tapping out of the busy-ness around us and tuning in to ourselves. Everything about the environment promotes living in the present moment, and who doesn’t need a little bit more of that in their lives? 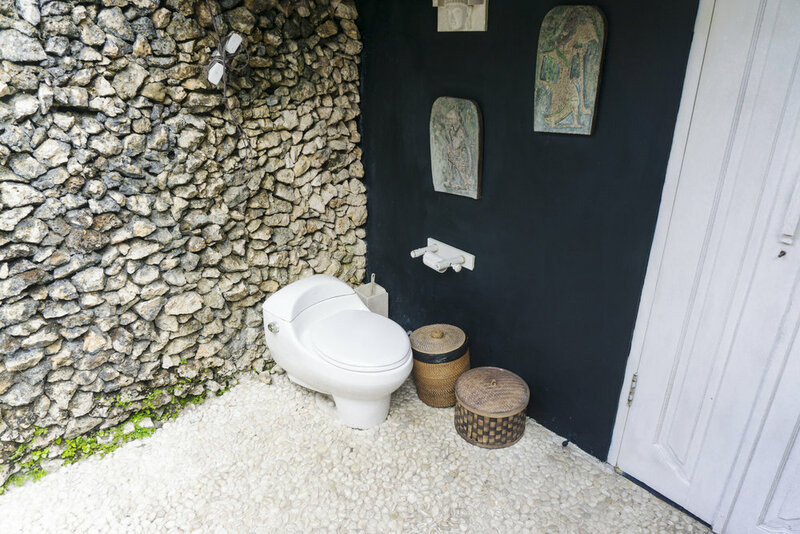 The Chillhouse is a lifestyle retreat located amongst the rice paddies in Canggu that provides unique tropical accommodations and delicious organic meals poolside at Cassava Cafe. 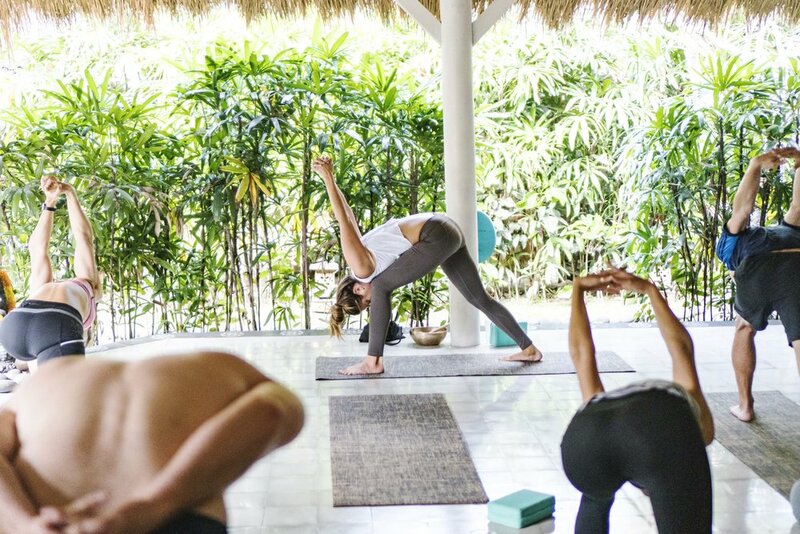 They offer two yoga classes a day with your stay, and if you feel like getting out into the ocean they can set you up with surf lessons and rentals. You can also enjoy your days mellowing out by the pool sipping coconuts or dragonfruit smoothies, the choice is yours. There are many different options for accommodations, from single beds to full house rentals, and we ended up staying in one of the deluxe suites. 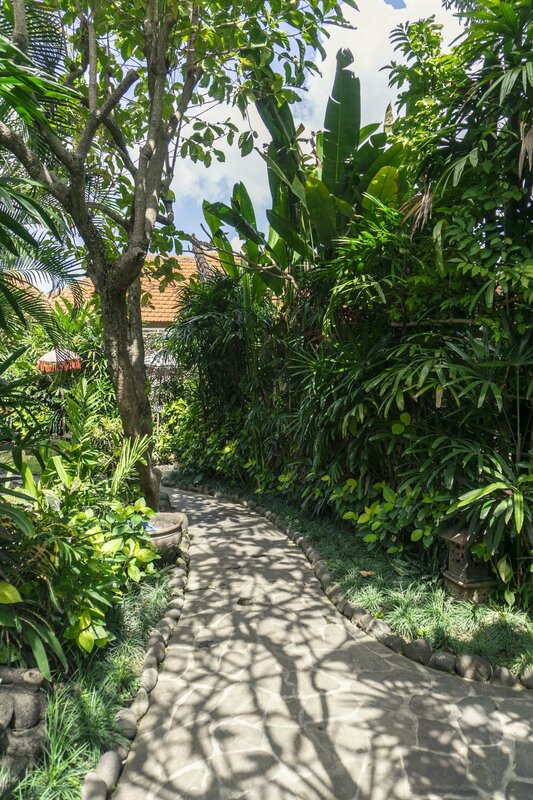 We loved the private and spacious outdoor patio area, cozy bed and the minibar has all of the treats you may wish for while you’re relaxing in your villa. 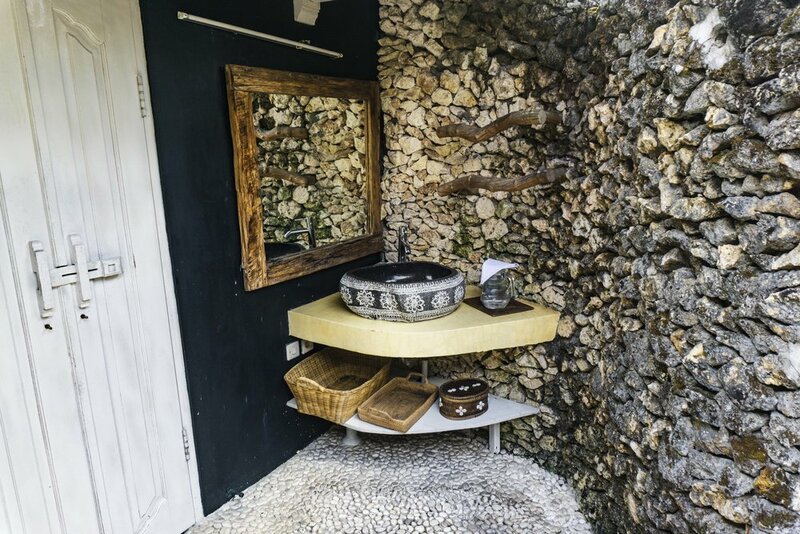 Of course the highlight for us was the epic outdoor bathroom. There’s nothing like bathing under the stars in Bali! We woke up early our first morning to catch the vinyasa class in the beautiful open air yoga shala. We usually practice at home, so this was actually Patrick’s first group yoga class and we were pretty excited. Daniella (@daniellebushell) led us through an invigorating alignment based flow that was the perfect way to start our day. We enjoyed her class so much that we were sure to make it back to her Hatha class the next morning. The Chillhouse and Daniella also offer group sound healing sessions on Friday’s. We were very intrigued, after getting a little taste of her Tibetan singing bowls during savasana at her yoga class. Sound healing is a modality that uses vibrational sound to help reduce stress, create a sense of well being and better health, even healing many ailments and pains by moving the brain from Beta into the deeper Alpha and Theta wave frequencies. To experience this restorative medicine for yourself, you can join Daniella at The Chillhouse yoga shala every Friday at 4pm. After yoga, we were starving and ready for breakfast by the pool. 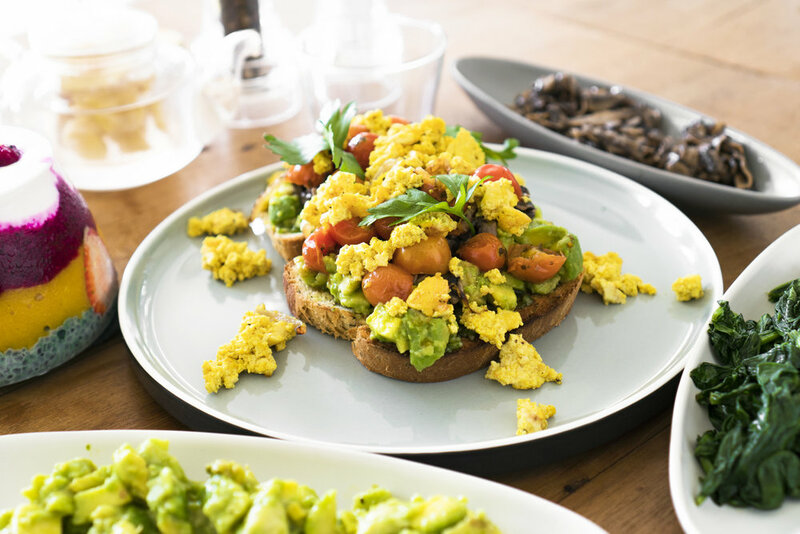 Included with the accommodations is breakfast every morning at Cassava Cafe on site. They offer delicious, organic and plant based, internationally influenced and locally sourced meals. The vibes are as great as the food here, and we enjoyed chatting with fellow nomads and locals. The staff were also very sweet and welcoming. We ordered the avocado toast topped with veggies and the turmeric tofu scramble, and a rainbow coconut yogurt bowl, loaded with fruit, mango nice cream and chia pudding. The cafe is open for breakfast thru dinner. All of the food was fresh and filling, definitely a huge perk of staying at The Chillhouse. 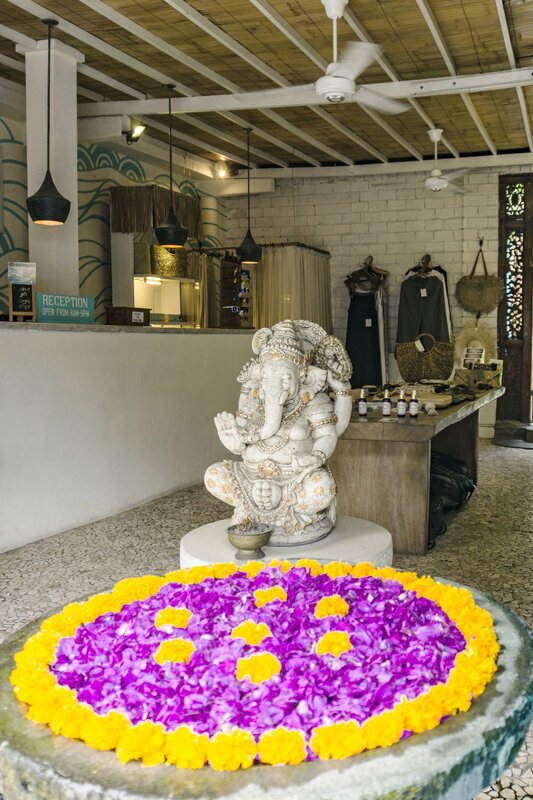 The Chillhouse is the perfect environment to unwind and get away from it all, while still being centrally located in Canggu if you’d like to wander around the many shops, restaurants and beaches that are available. You can book a single bed for 990k RP ($70 USD), or a king bed in a deluxe suite for 1.2 mil RP ($85 USD). From families to the solo traveler, there truly is something for everyone here.